On this page, you will find a short description of each annual edition as well as some highlights from that year’s insights. This new updated edition of the trend report continues the visual format from last year and takes it even further by using large text callouts and other features to improve the reading experience based on feedback from previous editions. Popular trends from this edition include Innovation Envy (corporations desperately copying one another instead of truly thinking different), Muddled Masculinity (our shifting cultural understanding of what it means to be a man) and Retrotrust (why we trust products and brands that we recognize from our past). This new edition also features new custom illustrations, updated visuals and a comprehensive appendix reviewing all past trends. In this edition of Non-Obvious, readers saw an upgraded interior layout from previous years with significant updates throughout the book. Some of the most popular trends from 2018’s report included “Truthing” (how we trust in face to face interactions more than any other type), “Brand Stand” (why consumers buy from brands who are unafraid share what they believe in), “Light-Speed Learning” (why we expect to be able to learn anything faster than ever) and “Manipulated Outrage” (what happens when a news media culture of outrage starts to define an individual’s identity). This 2018 edition also featured more illustrations, color on the interior and updated trend icon imagery. Thanks in part to all the updates, as well as a concentrated effort to submit the book to industry awards, this edition also won numerous business book awards including being selected as a Finalist for the prestigious Leonard L. Berry Marketing Book Prize from the American Marketing Association. Building on the success of hitting the Wall Street Journal best seller list in 2015, this all new edition features 15 brand new trends and an updated section with a recap on all trends from four previous years of research. In this new report, readers are introduced to the ideas of “Passive Loyalty” (a shift in how brands must engage consumers and generate true loyalty), “Fierce Femininity” (new revolution in how women are being portrayed in media and culture, and stepping out in business), and “Invisible Technology” (how technology increasingly anticipates our needs and blends unnoticeably into our lives). This 2017 Edition also earned a Silver Medal for Business Theory from the highly competitive Axiom Book Awards. Building on the success of hitting the Wall Street Journal best seller list in 2015, this all new edition featured plenty of new content – including 15 brand new trends and an updated section with a recap on all trends from the previous year along with a bonus “2016 Update” for each trend. 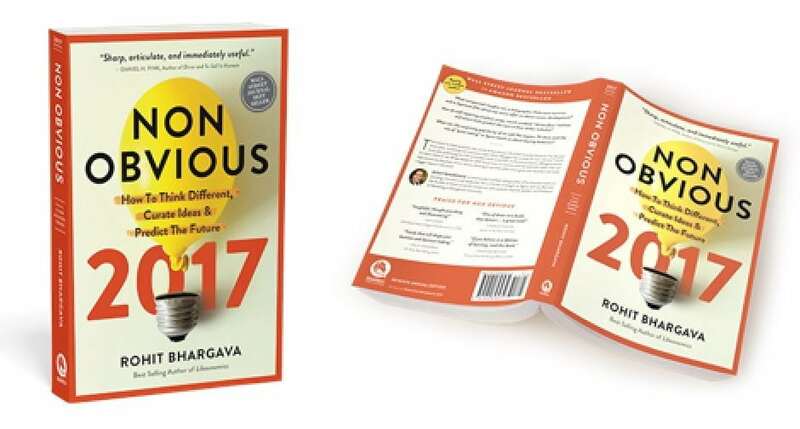 Continuing to offer a transparent look at previous predictions, the book also includes an extensive index that features and rates all 60 trends from the previous four years as well. In this new report, readers were introduced to the ideas of “Strategic Downgrading” (consumers choosing versions of products with less tech baked in because they often just work better), “Optimistic Aging” (the growing sense of hope that people feel as they actively embrace aging and see it as an opportunity rather than an affliction to be managed), and “Virtual Empathy” (the surprising fact that all the investments and excitement about virtual reality may in fact finally offer us a way to truly empathize with one another. 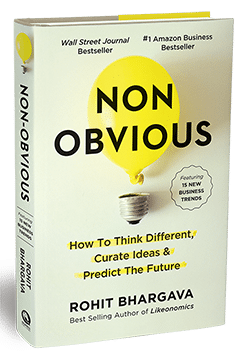 In 2015 for the first time, the Non-Obvious Trend Report was exclusively released as a part of the full length book featuring not only 15 new trends but also an extensive section on the process of trend curation itself. 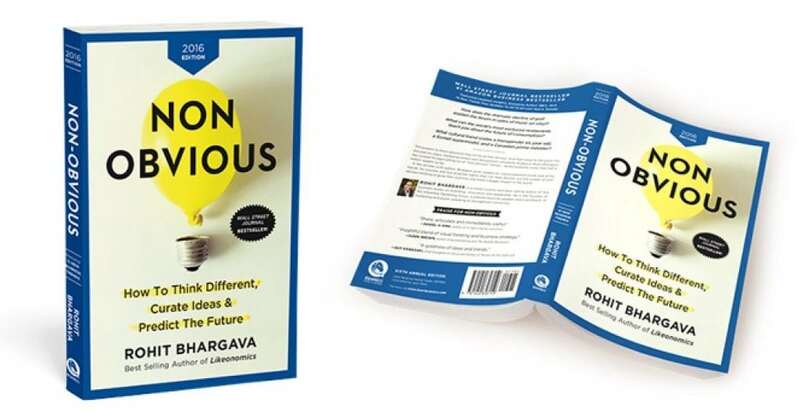 The book was an instant Wall Street Journal best seller and brought this curation driven approach to understanding the future to more people than ever. The report that year featured popular new trends like “Unperfection” (the preference people often have for naturally flawed and more human products and leaders), “Small Data” (a term to describe the growing amounts of personal data consumers are collected on their own behaviour) and “Everyday Stardom” (an explosion in consumer expectations around getting personalized service in every interaction). 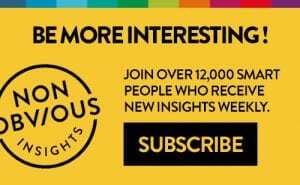 The 2014 Non-Obvious Trend Report featured 15 trends broken down into five categories: Culture + Consumer Behaviour, Marketing + Social Media, Economics + Entrepreneurship, Technology + Design and Media + Education. Some of the trends that generated buzz when the report was first published included “Desperate Detox” (consumers hungry to escape the ever present technology around them) and “Curated Sensationalism” (describing the increasing use of headlines about stories that promise to “restore your faith in humanity”). 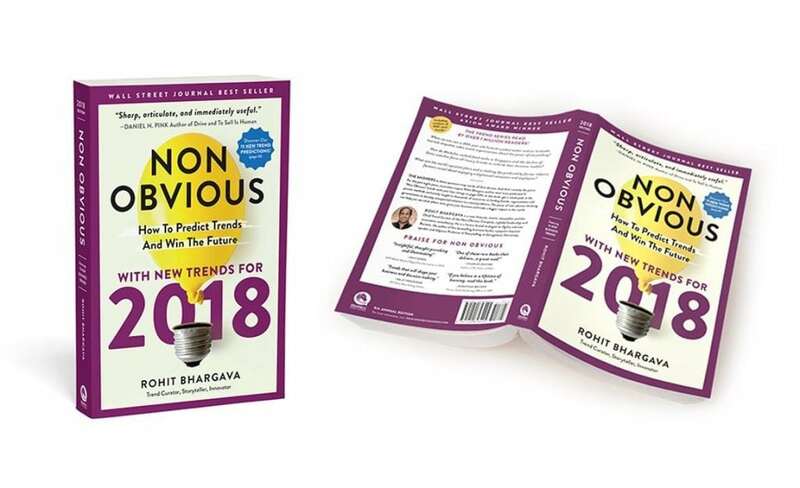 The 2013 Non-Obvious Trend Report was a #1 Best Seller on Amazon and remained the top selling book in the Marketing Research category for nearly three months straight after publication. The online edition has been viewed or downloaded more than 250,000 times and been featured in media across the globe. Topics featured in the report included the future of print publishing, the rise of women in business, authenticity in the banking sector, hyper-local commerce and the evolution of the travel industry. This second year of the Trend Report featured a broader look at business beyond marketing and brought together the worlds of corporate marketing, charitable causes, the marketing of death and more. This report was one of the first to explore the potential of big data to impact everything from optimizing supply chain logistics to measuring and quantifying every aspect of our lives. On the culture side, the report tackled the sensitive yet emerging field of the “digital afterlife” of loved ones who have passed on, as well as the rising sense of “social loneliness” that people felt. The first edition of the Trend Report first introduced the idea of “Likeonomics” – which Rohit later developed into the concept for his second full length book. Aside from this idea, the report was one of the first to predict the rise in importance of content curation as a way of organizing the growing ranks of information online. The report also explored the rapid growth of real time customer service through social media and the increasing number of marketing campaigns featuring employees as heroes (ie – “I’m an IBM’er) as well as using “Brutal Transparency” like Domino’s and Southwest Airlines.